With Spring Break and Summer Vacation right around the corner, have you thought about where to take your family vacation this year? Vacationers looking for an off-the-beaten-path Colorado getaway with all the frills of a major resort should head to Crested Butte, an historic town tucked away in the Colorado Rockies Elk Mountain Range. With its affordable accommodations, gourmet restaurants, cozy pubs, and eclectic shops, Crested Butte attracts a devoted legion of repeat visitors year-round! Crested Butte Lodging & Property Management Inc. offers a large selection of quality lodging in Mt. Crested Butte. Choose from studio condominiums to 4 bedroom condominiums in prime locations including ski-in/ski-out or walking distance to the slopes. All other properties are 15% off! 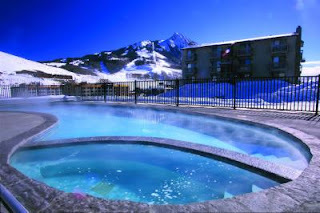 Hurry and book now before availability runs out!www.crestedbuttelodging.com/lodging/specials Or, call 888.412.7492 for personalized service. 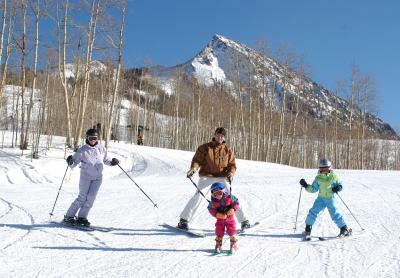 Have you planned your 2013 family vacation yet? As a member of the US Family Guide blogger program, I am automatically registered to win an amazing 3 night stay in a luxury Two Bedroom Condo in Crested Butte CO - use anytime for an entire year, simply by sharing the above information about Crested Butte Lodging & Property Management on my blog. I love the picture of the steamy pool outside! We're headed to Florida for our spring break trip this year... and I am ready to be away from the cold and snow for a change. Looks divine! We haven't made it to Colorado yet for skiing, but I would love to sometime. The mountains here in Oregon are all pretty close, but there is something just fun about a ski trip out of the state!